I have posted about Siku, the baby polar bear at the Scandinavian Wildlife Park in Denmark, a couple of times in the past because Siku makes me smile. And in life, isn't it the little things that really weave together the blueprint of who we are and really makes us feel alive? Now I am not saying that the big things in life aren't wonderful. The big things that we attract, work for and sometimes attain in life like beautiful homes, trips to Italy or success in business certainly create cushy lives and the fulfillment of unimaginable dreams. But with or without the big things in life, it truly is the little things that fill our souls with the necessary fuel to thrive each and every day right? Memories of a time so sweet in your life, you can still taste it. The smell of your brand new baby's breath. The knowledge that every tomorrow brings a perpetual mystery. These are some of the little things we experience throughout our days, that really make up a life well lived. Over the next few weeks I will be linking up with an amazing group of women bloggers from the Skimbaco community. We will be offering up ideas on finding fulfillment in life right now through the little things to make the most out of each and every day. I might post about a great new, decadent (albeit healthy) food or recipe I have found or I might post about how to help your pre-school go green. Who knows where this Linky will go with the other bloggers posting their ideas as well. 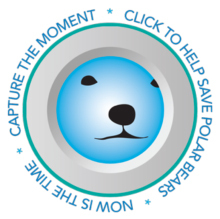 Today, though, I begin by suggesting you take a peek at Siku through a virtual window into the most adorable baby polar bear's world. 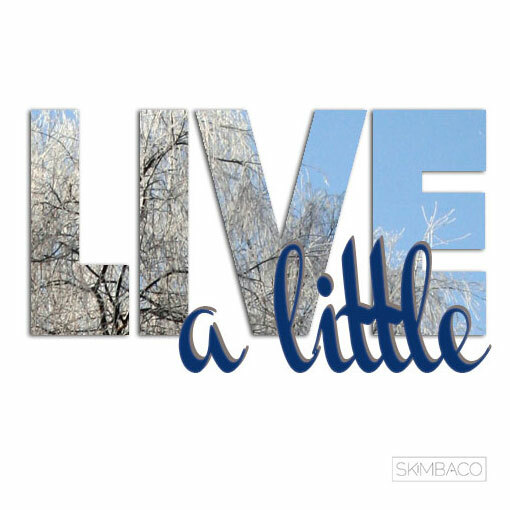 I cannot think of a better way to start off our Live a Little Monday Linky!! Watching this little guy takes me out of the ordinary, makes me happy and puts a grin on my face every time I tune in. I suggest you put tuning in to watch Siku, in your repertoire of ways to Live a Little. I guarantee a few minutes with Siku will make you smile too.